The social networking giant is experimenting with a “satire” tag for the related articles in a user’s news feed that come from fake news sites. The move was prompted by user feedback, according to Mashable. 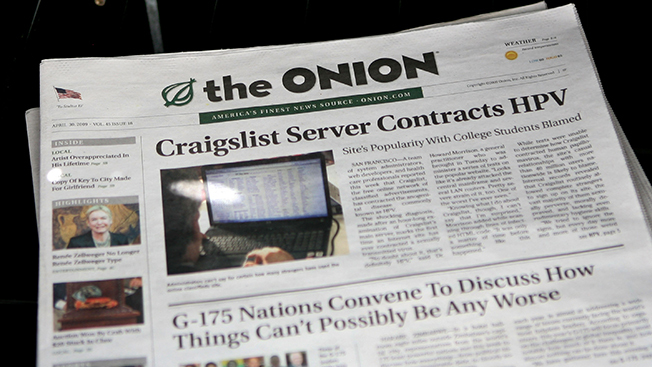 Google News follows this practice already for stories that come from parody or satire news sources such as The Daily Currant and The Onion, as well as those that come from blogs or press release distributors. Facebook's News Feed debuted in 2006. Since that time, the number of potential stories showing up in any given user’s feed when they log in has grown exponentially; today it’s 1,500 on average. The site’s engineers and algorithm wizards have made a number of tweaks to news feed over the last year, from cleaning up spam to surfacing more relevant ads and better videos. Some marketers believe these changes have been not only in the aim of optimizing news feed for users but also in an effort to make them buy ads.